Shattering stereotypes, Schimmel reconstructs an important but little-known chapter of Islamic spirituality. With copious examples, she shows the clear equality of women and men in the conception of the Prophet Muhammad, the Quran, the feminine language of the mystical tradition, and in the role of holy mothers and unmarried women as manifestations of God. 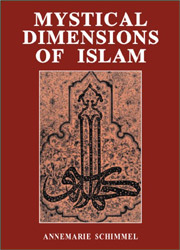 Mystical Dimensions of Islam presents, for the first time, a balanced historical treatment of the transnational phenomenon of Sufism—Islamic mysticism—from its beginnings through the nineteenth century. Through her sensitivity and deep understanding of the subject, Annemarie Schimmel, an eminent scholar of Eastern religions, draws the reader into the mood, the vision, the way of the Sufi in a manner that adds an essential ingredient to her analysis of the history of Sufism. 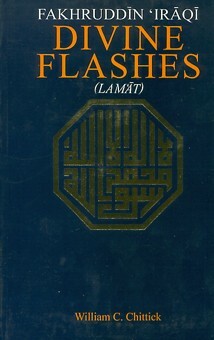 After exploring the origins of the mystical movement in the meditations of orthodox Muslims on the Koran and the prophetic tradition, the author then discusses the development of its different stages, including classical voluntarism and postclassical theosophical mystical trends. Particular emphasis is placed on spiritual education, the different ways of leading the mystic toward the existential realization of the profound mystery of the profession of faith that "there is no deity but God." Sufi psychology and Sufi orders and fraternities are comprehensively explored. Through an examination of mystical anthropology, which culminates in the veneration of the prophet and the saints, the questions of free will and predestination, of good and evil, are implied. The main burden of the text, however, is Sufism as reflected in Islamic poetry, and Professor Schimmel examines the various aspects of mystical poetry in Arabic, Persian, Turkish, Sindhi, Panjabi, and Pashto. The author skillfully demonstrates how Sufi ideals permeated the whole fabric of Muslim life, providing the average Muslim—villager or intellectual—with the virtues of perfect trust in God and the loving surrender to God's will. 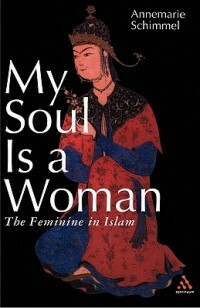 Professor Schimmel's long acquaintance with Turkey, Iran, and the Indo-Pakistan subcontinent provides a unique emphasis to the study, and the author's personal knowledge of Sufi practice in these regions lends a contemporary relevance to her work.